Nearly a decade after graduation, there’s one high school memory that I return to again and again when I think about loving myself. Classes were done for the day; a few of my friends and I were sitting on the brick front steps of our school, doodling on our Converse and rolling up our uniform skirts to make them shorter, in case there were cute boys afoot when our parents picked us up and took us to Starbucks. We were discussing our dream plastic surgeries. When my turn came around, I was interrupted before I could respond. “I mean,” a classmate shrugged in my direction, “nose.” She wasn’t being mean—if she hadn’t cut in, I would have said the same thing. To our adolescent sensibilities, it was just a fact: Pretty girls possessed cute button noses or sleek ski slopes. I inherited my nose from my dad’s Italian family, along with a propensity to talk with my hands and a superhuman ability to consume pasta. 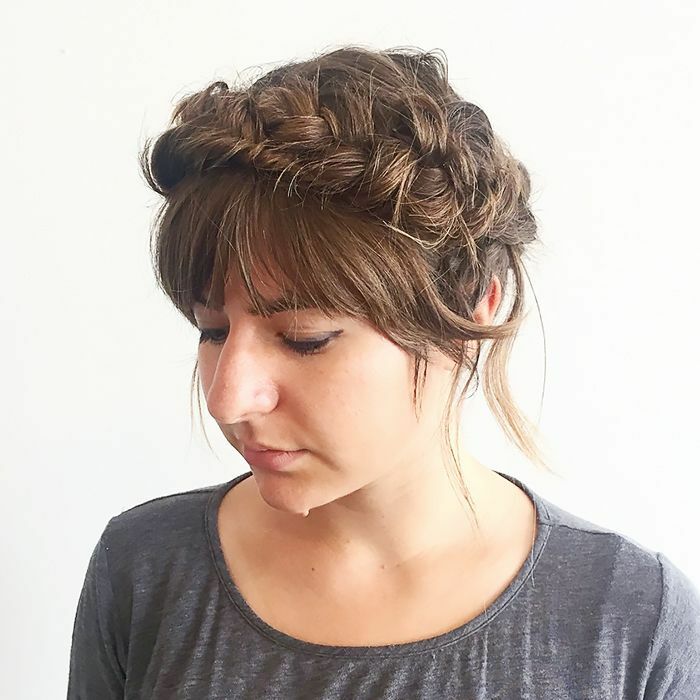 Here at Byrdie, we know that beauty is way more than braid tutorials and mascara reviews. Beauty is identity. Our hair, our facial features, our bodies: They can reflect culture, sexuality, race, even politics. We needed somewhere on Byrdie to talk about this stuff, so… welcome to The Flipside (as in the flipside of beauty, of course! ), a dedicated place for unique, personal, and unexpected stories that challenge our society’s definition of “beauty.” Here, you’ll find cool interviews with LGBTQ+ celebrities, vulnerable essays about beauty standards and cultural identity, feminist meditations on everything from thigh brows to eyebrows, and more. The ideas our writers are exploring here are new, so we’d love for you, our savvy readers, to participate in the conversation too. Be sure to comment your thoughts (and share them on social media with the hashtag #TheFlipsideOfBeauty). Because here, on The Flipside, everybody gets to be heard. Next up: Read why people need to stop telling one Byrdie editor that having short hair is "brave."